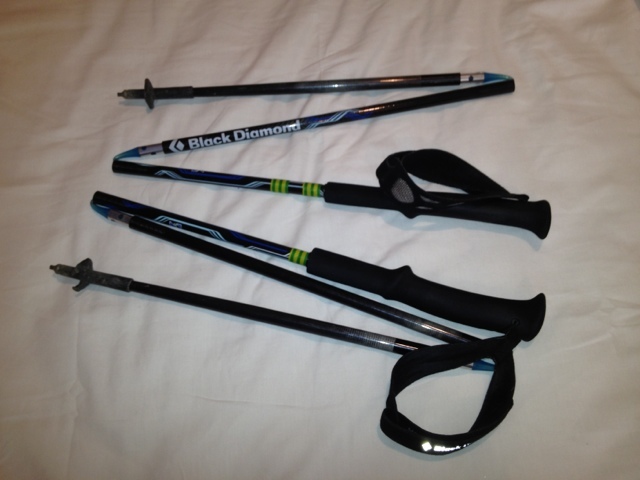 My favorite piece of kit is by far my walking poles - BlackDiamond Ultra Distance Z poles. These carbon fibre, light as a feather jobs make walking and keeping good posture so much easier. I have had a pair of poles in the past but never used them in anger but these are just so light and easy they become part of you. I will not walk without them from now on. I must admit this has lead some amount of pole envy (something, dear reader I admit I'm very unaccustomed to). But in this case the European pole savey crowd have turned a shade of green when seeing how light these puppies are. I thought you only used those for skiing - its a shame you managed to break them.